Effective marketers should be able to tie every single lead; customer and dollar back to the marketing initiative that created them. That is the power of closed-loop marketing. 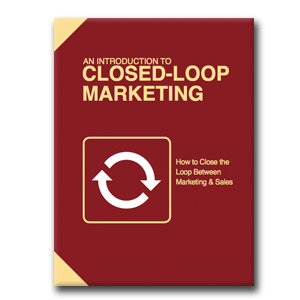 Closed-loop marketing cuts through the widespread vagueness of marketing myths and assumptions and reveals real data about the success (or failure) of your marketing efforts. Grab your free downloadable guide now by submitting the form on the right side of this page.